In addition to discrimination laws that all employees and supervisors need to know, this training explains what it means to embrace diversity and the benefits it brings. 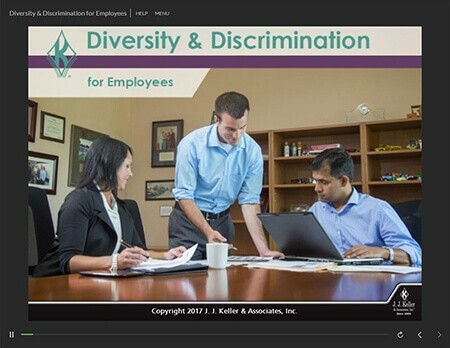 Thank you for your interest in previewing the Diversity & Discrimination for Employees online course. Please register or log in to watch free previews, browse the course library, purchase training points, and more. Thank you for your interest in previewing the Diversity & Discrimination for Supervisors online course. Please register or log in to watch free previews, browse the course library, purchase training points, and more.